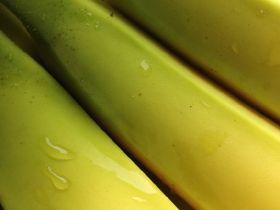 One Banana, The Better Banana Company which is a leader in socially responsible and environmentally sustainable farming, has donated nearly US$5m over the past three years to corporate social responsibility programmes that benefit their employees, their families, and members of rural communities throughout Guatemala. The contributions are in keeping with the company's commitment to meeting the United Nations’ Millennium Goals of Nutrition and Child Mortality. Future planned initiatives include expansion of the Company’s Human Development Center (HDC), increased efforts to offer high quality low-cost medical care to the public, and providing free private education to the children of their workers in Retalhuleu, Guatemala. Working towards a greater collective good is at the heart of the One Organisation: “We are not just a banana company. We feel we are more than that. We are responsible for supplying the market with excellent quality bananas but also believe it is our responsibility to create opportunities for the people who are growing those bananas and their surrounding communities,” says Fernando Garcia Salas, vice-president of direct sales. Children of One Banana employees also have the option of receiving free private primary and secondary education through the HDC’s private school. The One-funded school covers all costs of tuition, books, uniforms, and any school supplies the students may need. Making healthcare and education widely available are crucial initiatives for One, but as a banana grower, shipper and distributor, among the Brand’s primary missions is to ensure children have readily available healthy food. As such, they have also implemented the Nutritious School Snack Program, a banana donation initiative in partnership with local public elementary schools throughout Guatemala.